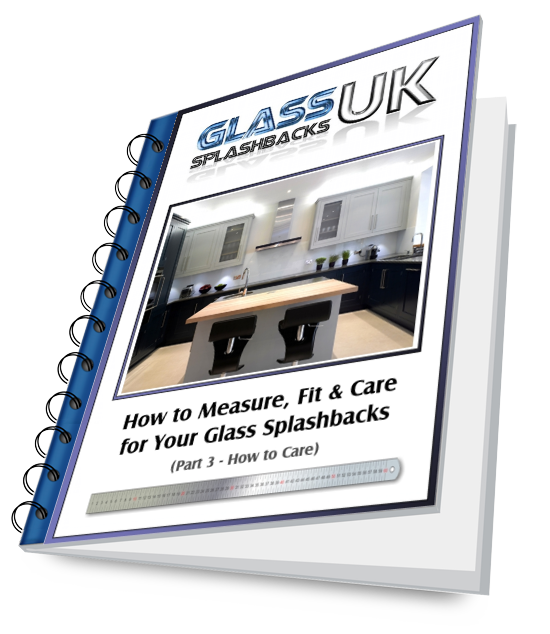 We take a great deal of pride in the quality of our glass splashback panels and because we recognise that you will also appreciate the value of your purchase and want to keep your coloured glass splashbacks looking as vibrant as the day they first arrived, we have put this simple guide together to ensure that your splashbacks will be afforded the best care. If you would like to receive a copy of this Caring Guide, please complete the form by clicking here and we will send you a copy. We have also produced a Measuring Guide and a Fitting Guide which are also available to both view online and download. Simply follow the link at the bottom of the page.